I’ve had a very busy weekend…and loads to tell you about over the next few days. 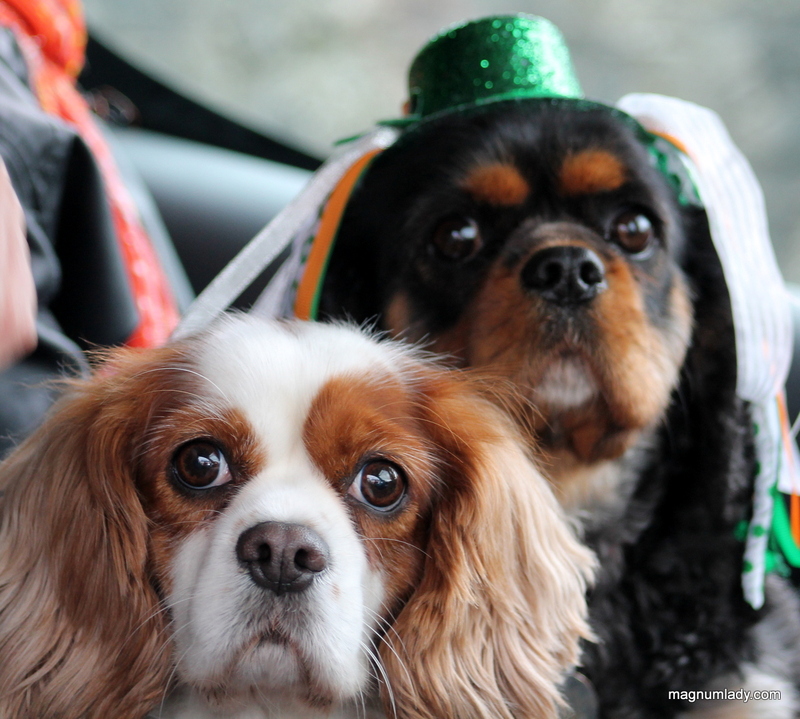 I just want to point you in the direction of the St. Patrick’s Day photos. I managed to get to four parades over two days. Do you remember Phil Collins when he did the UK and the American Live Aid? Well that’s what I felt like minus the drums and the plane!! 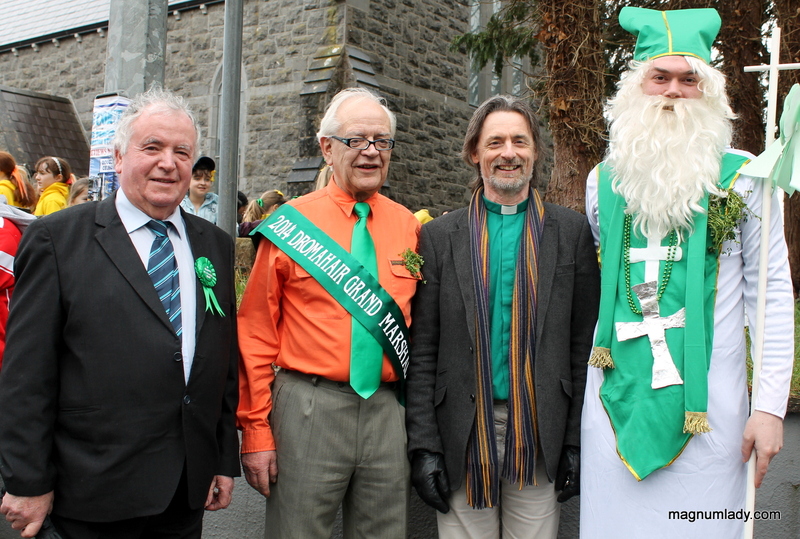 On Sunday I got to Dromahair Parade in Leitrim. I’m delighted they had their parade on the 16th or I probably wouldn’t have got there. The people were very friendly and Jono and I loved the parade. The rest of my Dromahair photos are here. 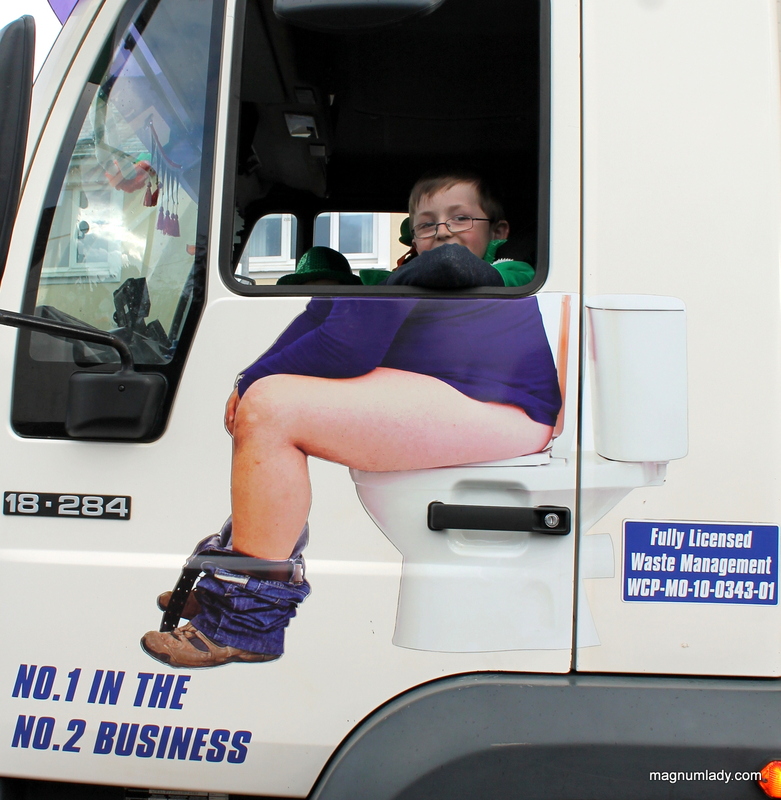 Sligo was my first port of call on Monday. Not only was I taking photos I decided to do a video as well (I’ll post it at the bottom of the page). The video isn’t great because it’s hard to take photos and film at the same time. 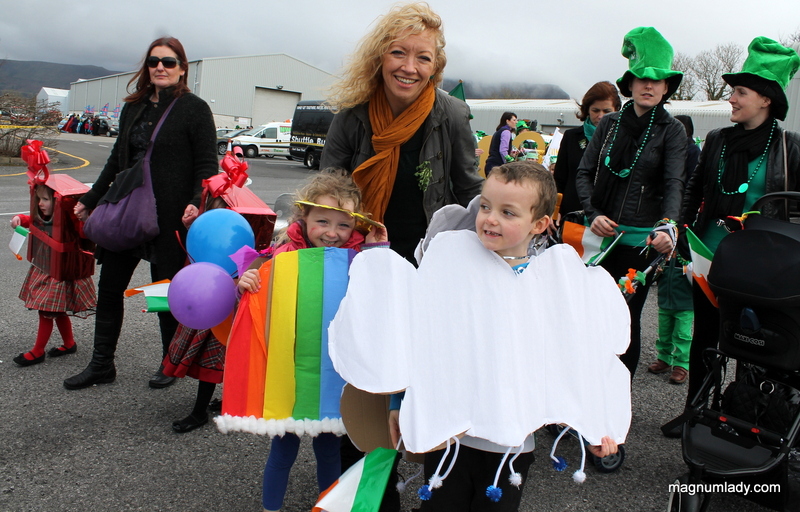 It was a great parade and it stayed dry!! Silverstar Cheerleaders were fab!! I’d love to be able to do that. The rest of my photos are here. Next stop was Grange in North Sligo. 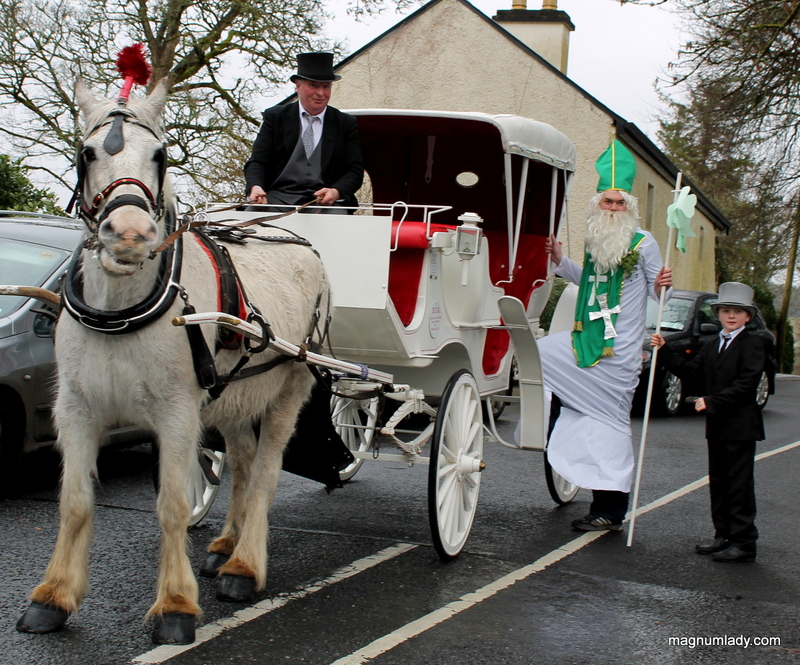 Luckily the parade started late as the Sligo one went on for over an hour and a half. 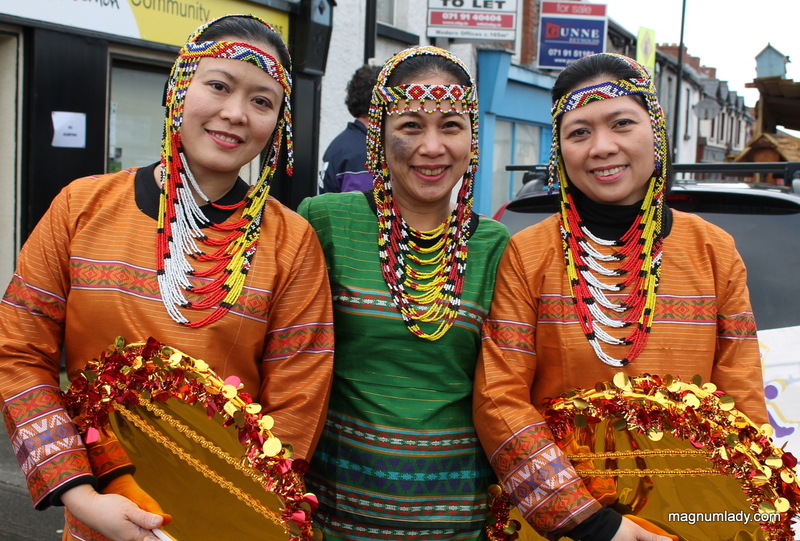 Quite a few of the floats that took part in Sligo also came along to Grange too. Laura May Lenehan who is currently on The Voice Ireland, came along…with the ‘judges’. The rest of my Grange photos are here. 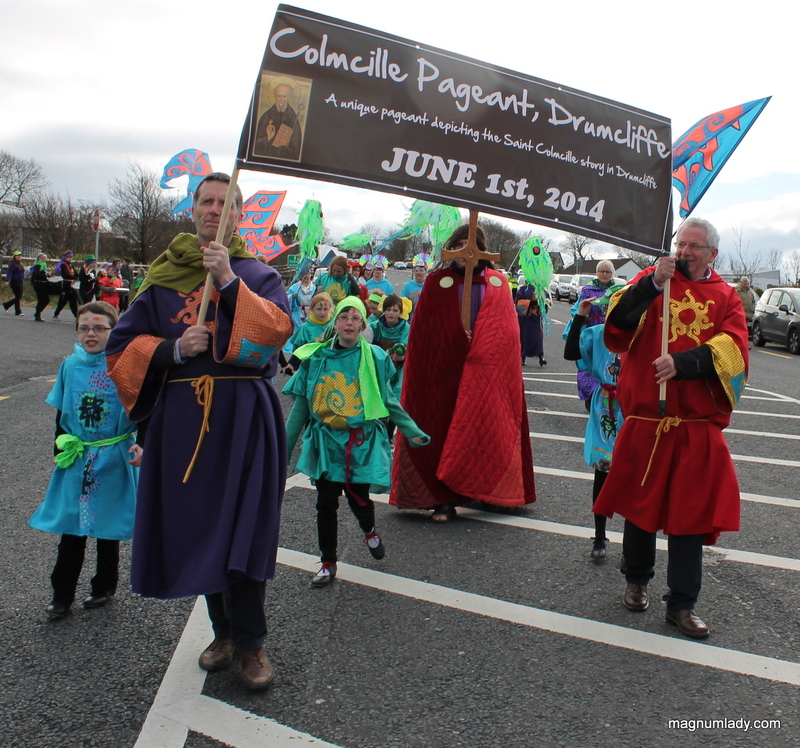 Last but not least for me was the Ballymote Parade. Another great parade complete with a lot of tractors. 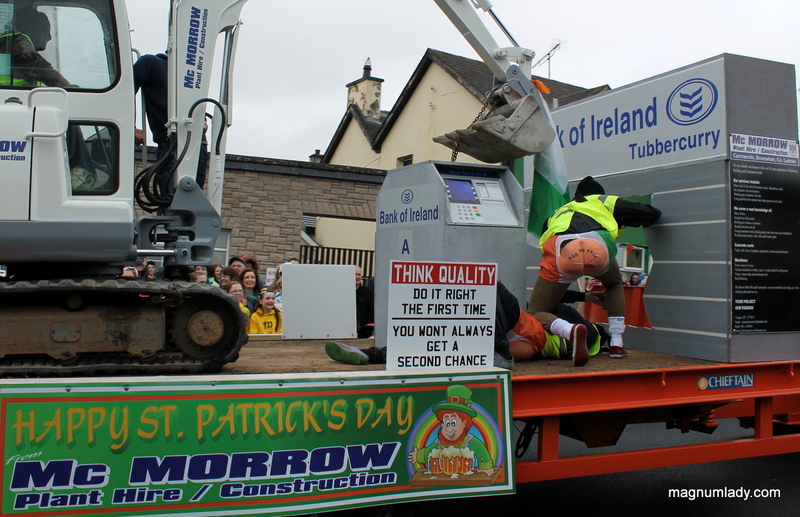 The funniest lorry I’ve ever seen was also in the parade. Even the dogs got involved! 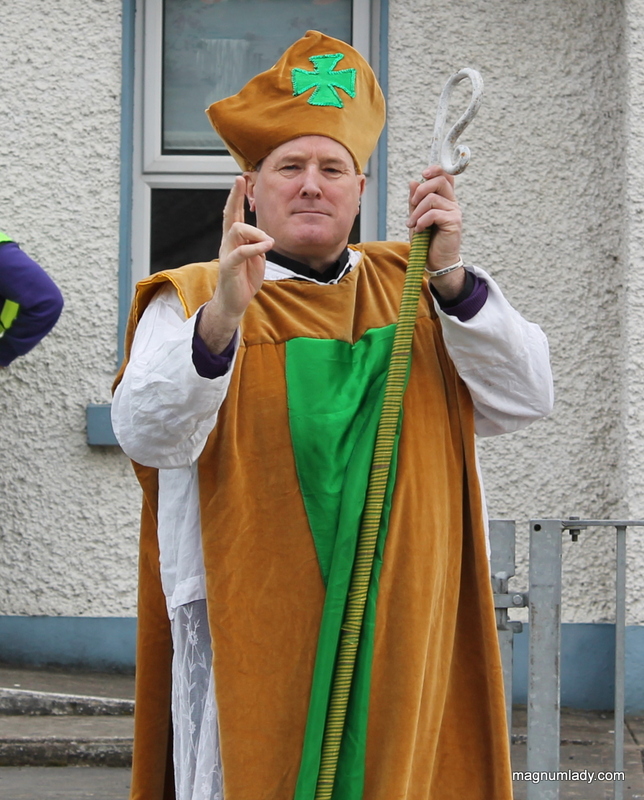 The rest of my Ballymote photos are here. I hope you enjoy looking at them as much as I enjoyed taking them. Thanks Judy. No one in Ireland actually eats corned beef and cabbage as a traditional dish. It’s bacon and cabbage here. 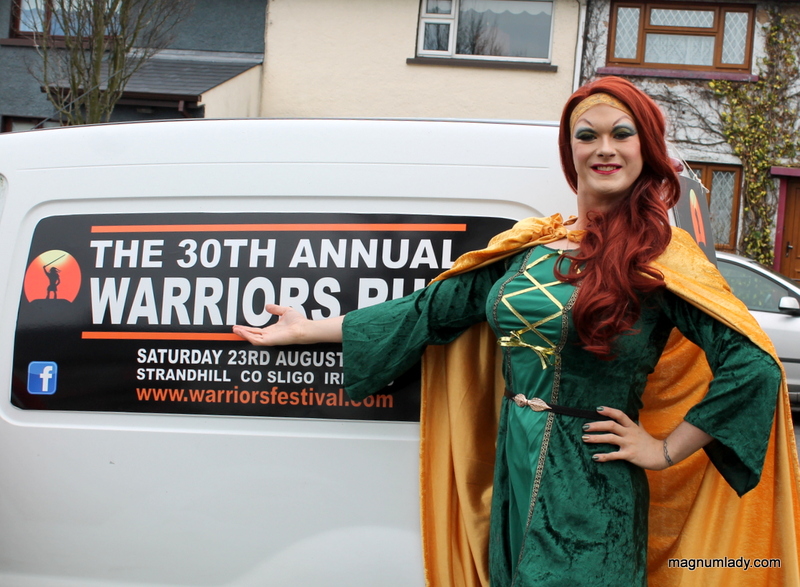 Enjoyed the Ballymote pics, Ms. Magnum Lady. Fair play to you for covering all those parades across our land. Hope you recovering this week! That’s good to know. Now I’d like to find out why we over here use beef 🙂 Actually I’ve been watching a ton of Irish travel programs (around St. Patrick’s Day) and they raved about Ireland raising the best beef. What’s your take on that? But I love bacon, so next year maybe I can get some of the real stuff from the real place.